We've compiled this great list of books for your summer reading needs so you can easily grab one of our suggested books before heading out on your vacation! Graceling (which is one of my favorite books) meets The Selection. I have been wanting to read this book for a while now. So what a perfect time to read it this summer. this book has gotten rave reviews. They say this book is The Fault in Our Stars meets Eleanor and Park in this exhilarating and heart-wrenching love story about a girl who learns to live from a boy who intends to die. I love both of those authors so I hope this book lives up to the hype and the comparison. Have you heard of the book The Truth About Alice? That was Jennifer Mathieu's debut novel last year and I admit it is still on my "to read" list but I am going to get to it. 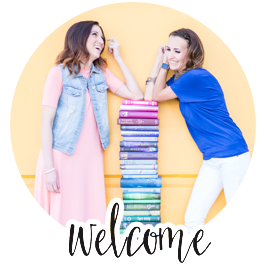 Coming out June 2nd is her new novel and Kelly, our Book Club President, has read an ARC Copy because she is moderating an author panel in June with Jennifer Mathieu as one of the authors. Kelly wrote her review here. She gave it 4 stars. Doesn't this cover just scream SUMMER! This looks like a fun read and something I can enjoy this summer. Oh Gayle Forman I love all of your books so I am for sure reading this book because I know I won't be disappointed. My love affair with "All things Gayle Forman" started with If I Stay and I hope you have all seen the movie it was good also but as always the movie never beats reading the book. Check out my Book to Movie Post on If I Stay. Since that book I have read and loved Where She Went, Just One Day, and Just One Year. I am excited to read this book. I have heard a great deal of buzz around this book. Sabaa Tahir recently came to here and unfortunately I wasn't able to make it to her book signing but I really wanted to go. So because I missed getting to meet her I am putting her book on the list. "Neil Gaiman’s Stardust meets John Green’s The Fault in Our Stars in this fantasy about a girl caught between two worlds... two races…and two destinies." Doesn't that sound just dreamy plus when I saw this book at Costco I just had to have it. The cover is so beautiful. I loved The Fault in Our Stars (and if you haven't read this book yet I don't know where you have been the last couple of years, so get your act together and read it.) and John Green's previous book Paper Towns is becoming the next movie of his books. It comes out this July and so I definitely want to read it before I see the movie and check back in June because I am going to do a Book to Movie post on it for sure. And this book is about a road trip and isn't that the perfect theme for a summer read. I am seriously going to read this book and implement it with my kids. We are going to use this Magic to turn my kids into organization wizards and have them transform their lives. Ok maybe I'm being too optimistic but I can dream can't I? When I read The One I thought it was the ending to the series. 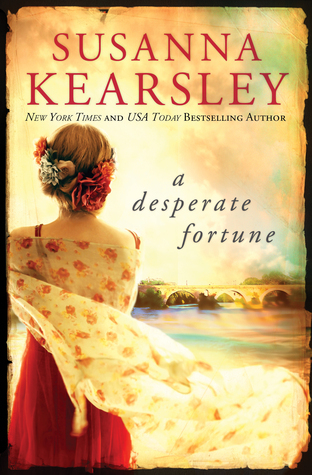 Oh was I wrong Kiera Cass even has a book five coming out next year. This book sounds good because it will take place from the view of a bachelorette. If you have read the first three books then you know it was like the Bachelor meets royalty in a future world. This will be a fun read for summer because who doesn't like a love story? 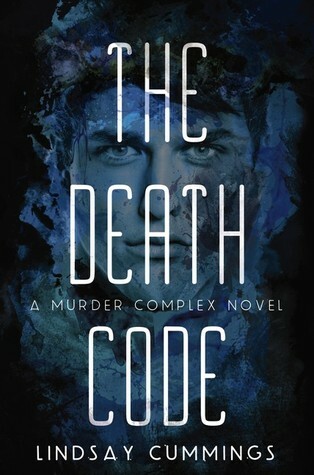 This book came out last year and I still haven't read it so since the second book came out The Death Code I am gong to catch up on this series this summer. An action-packed, blood-soaked, futuristic debut thriller set in a world where the murder rate is higher than the birthrate. For fans of Moira Young’s Dust Lands series (I love the Dust Lands Series! ), La Femme Nikita, and the movie Hanna. The second book in the trilogy. 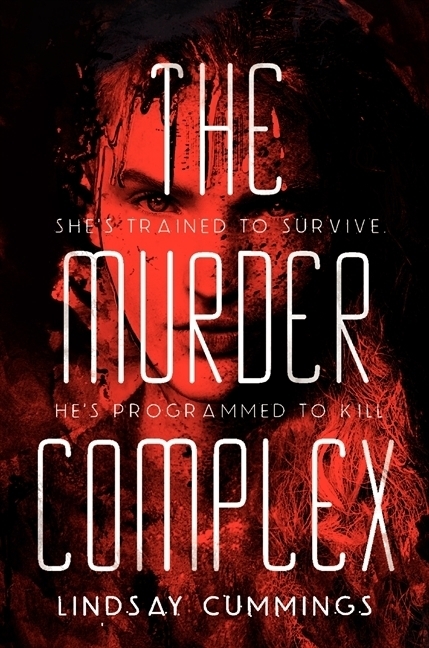 The Murder Complex Series here I come. 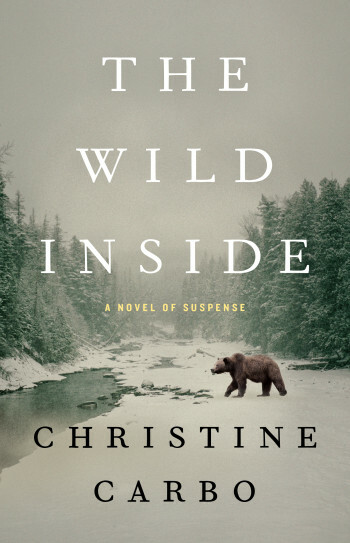 I had the great pleasure of meeting this Author up in Montana during The Winter Festival and talked with her about her Suspense Novel but you will have to wait until June 16th to get it. 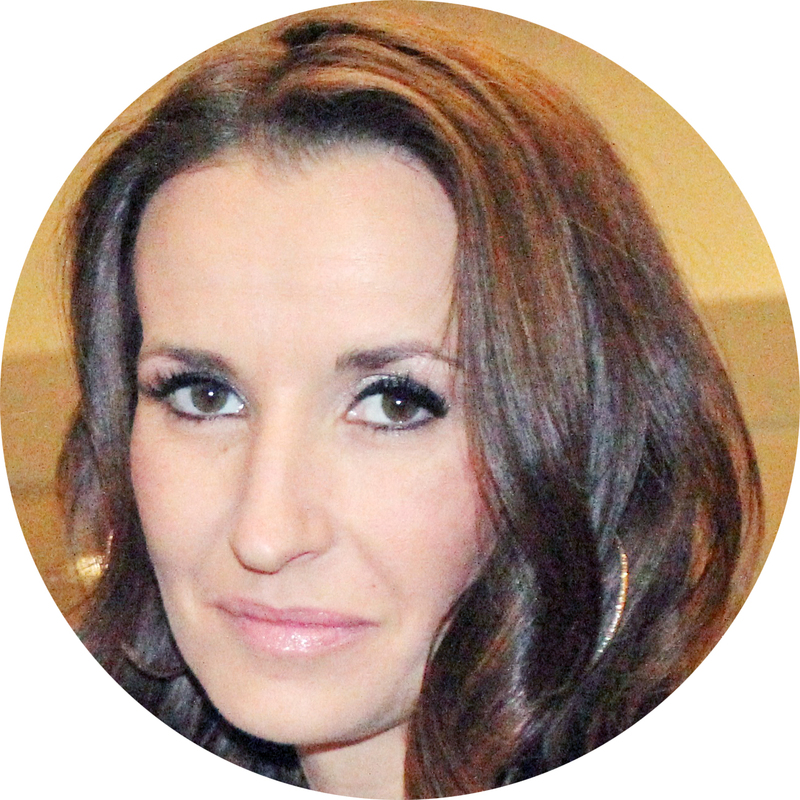 She is so smart, fun and charming. I am anxious to read this book. 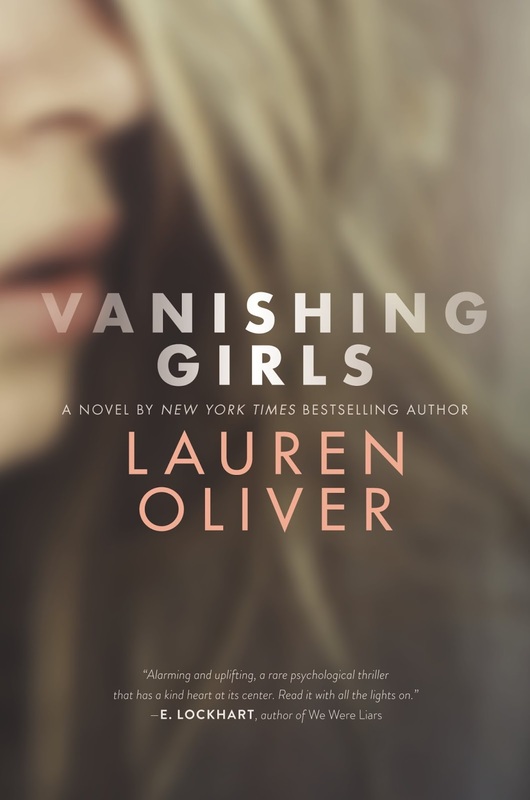 I love Lauren Oliver's books (Before I Fall, Delirium, Pandemonium and Requiem). None of these are thrillers so this will be interesting reading a different kind of book than she usually writes. I met her at an author book signing and she was so nice and fun to talk to. It's crazy when you get to meet the authors you enjoy reading and find out that they are so down to earth and real. I have heard so much buzz about this book and how good it is. I can't wait to read it. 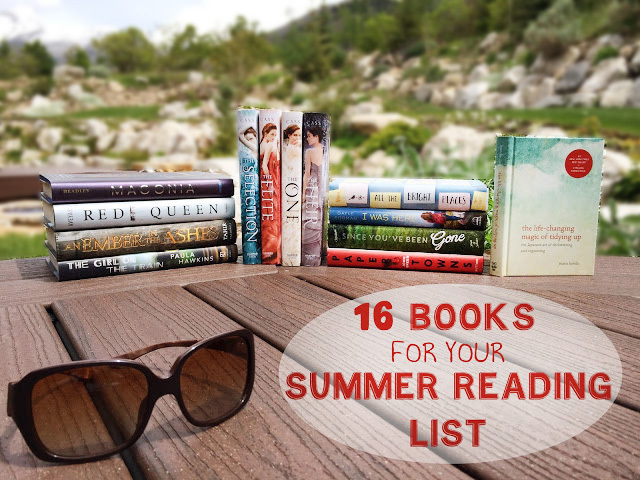 I hope this list gave you come good ides on what to read this summer. I'm crossing my fingers that I can make my goal of reading these 16 books this summer. Wish me Luck! If you want to follow along become my friend on Goodreads. P.S. Most of these pictures were taken by me in my backyard. I'm getting so excited for it to be warm outside. Enough of this Utah rain already.